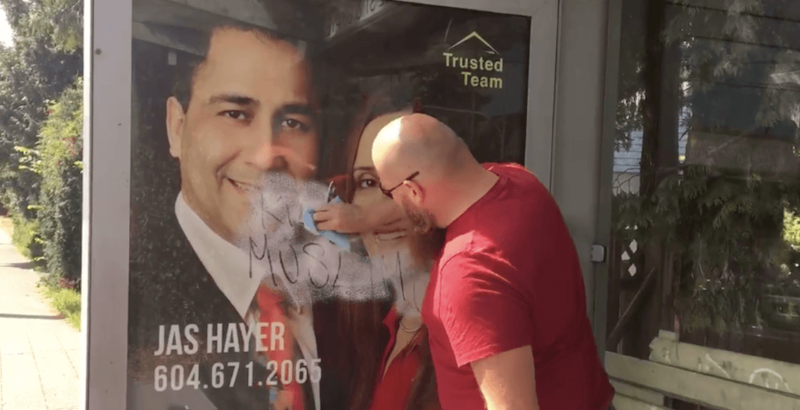 CTV Vancouver camera-person Peter Bremner was travelling from his office to a video shoot in Surrey to work when he noticed “blatant and offensive” racism spray-painted inside a bus stop. 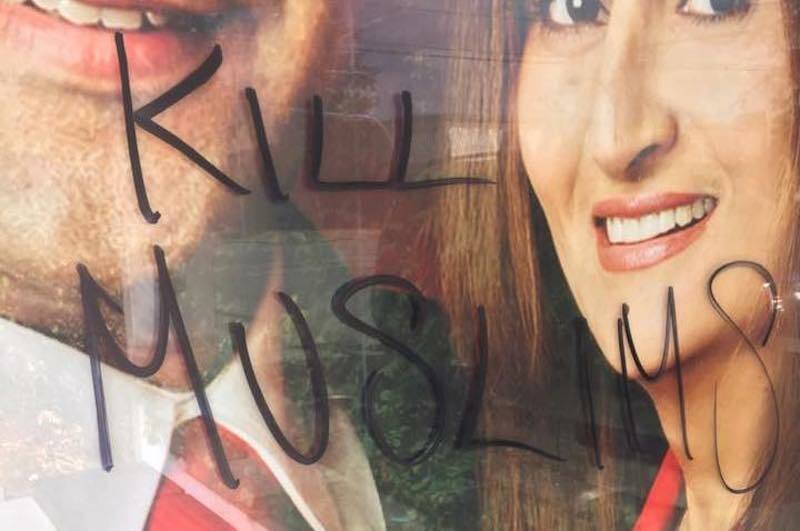 The graffiti read: “Kill Muslims”. Photos and a video of him cleaning the graffiti were captured by his colleague, Allie Tanner. “We can all do something, even a small thing, to combat racism,” he added. In light of the recent clashes between far-right groups and anti-racism protesters in the US city of Charlottesville, where a woman was killed, and with a similar event planned in Vancouver for this Saturday, Bremner’s statement is a simple but powerful and timely one.